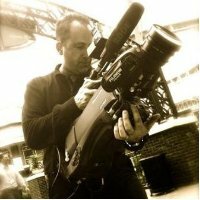 With over thirty years of digital cinematography, on-location production, editing, producing and script-writing experience, Tom has developed a sharp eye for how to streamline the production process and produce high quality, creative multimedia projects. From HD TV commercials to 4K video web content; corporate videos and event video production, Shoreline Media provides complete video production services to put any message in motion. Shoreline Media has a complete HD production suite, state of art lighting and audio services and a full complement of graphic design and video editing tools. Shoreline Media Productions also consults and collaborates with other production companies and agencies for high-def and 4K acquisition, media workflow management and editing with all configurations of Final Cut Pro and Adobe Creative Suite. Locally, Shoreline Media has produced projects for Latham Centers, Cape Abilities, Cape Conservatory & Cape Symphony, Cape Cod Chamber, Cape Cod RTA, towns of Barnstable, Yarmouth and Orleans, and a wide variety of southern New England businesses. Beyond the Shore, clients range from KPMG, National Science Foundation, NHRA, Textron, Comcast Spotlight, Alaska's Iditarod and Panasonic Broadcast to independent and freelance work with cable networks and independent broadcasters. Prior work experience includes 16 years as Senior Videographer/Editor with Comcast Spotlight in Hyannis, five years in broadcast with Boston and Providence network affiliates.